Don’t wreck your healthy habits by scarfing down calorie-laden foods. 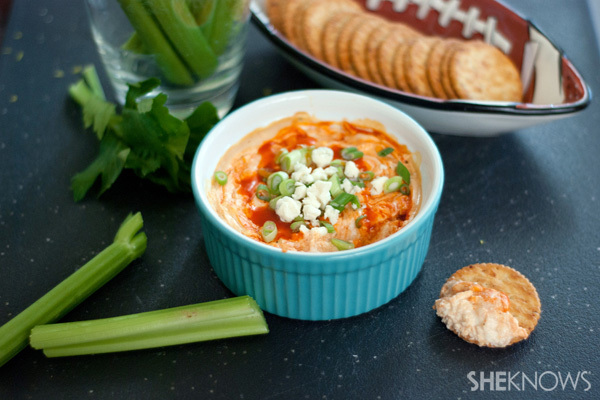 Here are three lighter versions of popular game day dips that won’t ruin your diet. With the big game almost here, don’t lose track of healthy eating by making the wrong choices. These delicious and easy dip recipes are each a lighter version of classic favorites. This way you can worry about the game, not about the food you’re eating. Preheat the oven to 400 degrees F and spray a medium casserole dish with nonstick cooking spray. In a mixing bowl, add all of the ingredients except for the crushed Ritz crackers. With a hand mixer, blend until smooth. Spoon mixture into the casserole dish and top with crushed crackers. Bake for 25 minutes or until golden brown on top. Serve warm with tortilla chips, crackers or cut vegetables. Preheat oven to 400 degrees F and spray a medium casserole dish with nonstick cooking spray. In a large bowl, add all of the ingredients except for the green onions and mix until smooth. Spoon the mixture into the casserole dish and bake for 30 minutes until hot. Garnish with sliced green onions and serve warm with crackers, tortilla chips or sliced vegetables. In a mixing bowl add all of the ingredients. Using a hand mixer, mix until the dip is smooth and creamy. Transfer the mixture to a serving bowl and chill for several hours to allow the flavors blend. 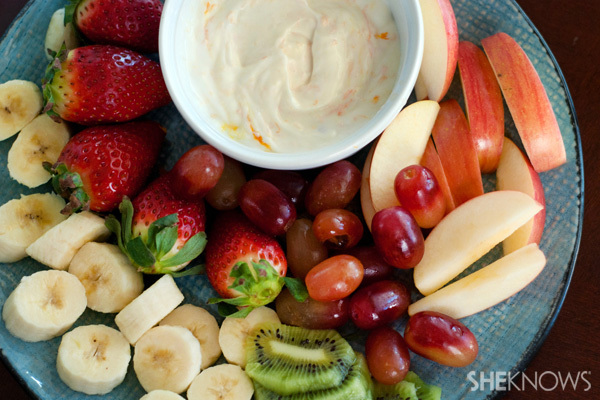 Serve chilled with a variety of fresh fruits for dipping.